We took Collen to a dog park for the first time on Monday. The Second Annual Doggy Fun Run in University City was held Monday morning. The “run” went from City Hall to the park. 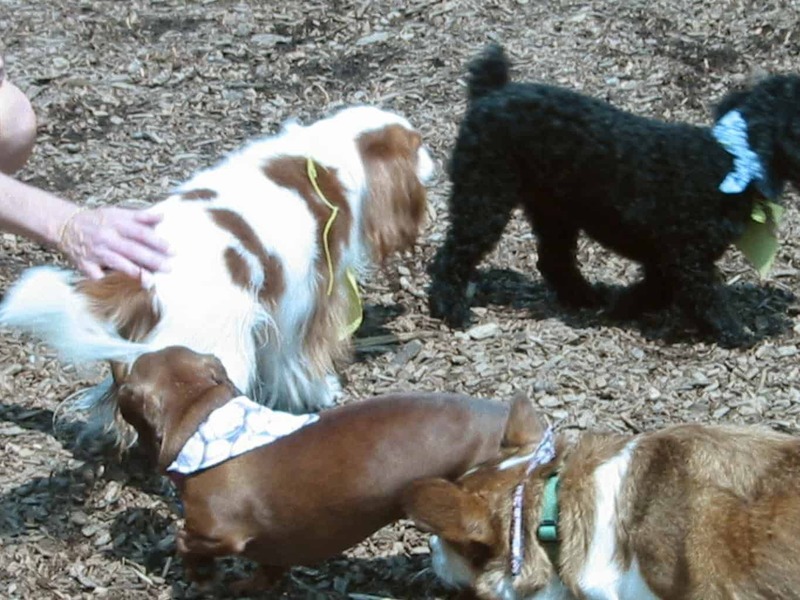 Afterwards, all the participants were able to use the dog park, even if they weren’t members (which we aren’t currently). This was Collen’s first real social event, and he was a bit overwhelmed waiting for the run to start. He thought that barking at every dog he could see was a good way to introduce himself. Once the run started, however, he was very well-behaved and stayed as much on track as any dog can. Unlike the Indy 500, there were frequent pit stops along the way. When we arrived at the park, Collen didn’t quite know what to make of this place. He stayed pretty close to us at first, never venturing too far, but after a while, he started wandering around meeting some of the other dogs. We stayed at least an hour or so, and he had a great time. We may become members if any non-resident passes are available, since the dog parks slated for our area are still some time off. 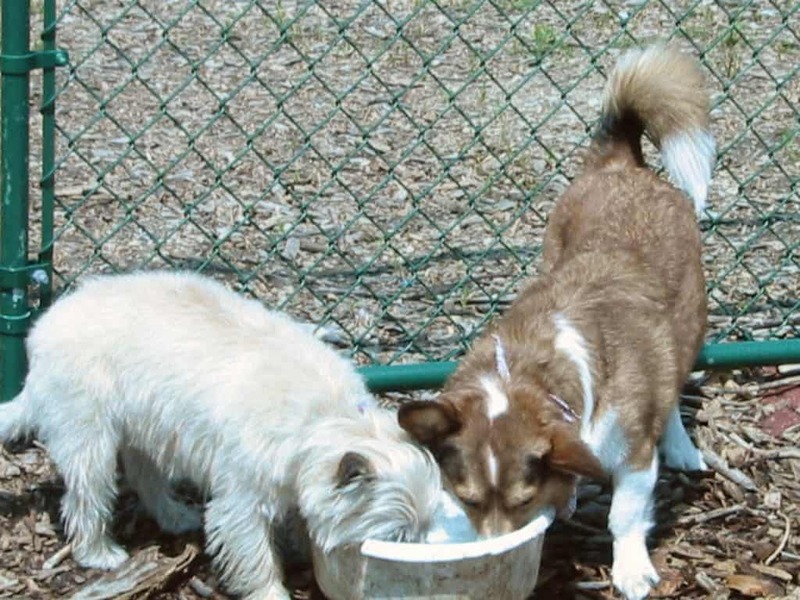 If you want more information on dog parks in the St. Louis area, check out People for Dog Parks of Greater St. Louis.